In the world of composting, not all bins are made equal. A variety of factors serve to set a few above the rest—things like capacity, environmental friendliness, and ease of use. The right compost bin will church out healthy organic mulch for your home garden, whether you’re feeding your family organic vegetables or seasoning your meals with fresh herbs—or raising flowers, to help beautify your property. What Makes The Deluxe Pyramid Composter Unique? Gardener’s Supply Company incorporated their preferred innovations into this composter. Many of those who purchase it report hitting optimum composting times despite never having to turn the compost manually, with those who turn it regardless finding their results to be even further improved. Other factors, such as balancing brown and green foliage, will still affect the time it takes to finish composting, with the addition of nitrogen-rich fertilizer being one of the most popular ways of speeding up the processing time. One of its more unique features is its namesake lid. The pyramid-shaped drain on the lid is designed to allow for just the right amount of water to enter, ensuring moist, properly balanced compost. Finished compost should feel about as moist as a freshly-wrung sponge, which this composter manages to achieve without the hassle of manual turning. Innovative pyramid lid for optimum self-watering: Perhaps this composter’s best feature, its innovative pyramid-shaped lid is designed to allow in just the right amount of rainwater (or other precipitation) to result in the perfect compost. This helps to eliminate the work in regularly turning the compost by hand—a considerable chore, given the 12 square-foot capacity of the composter. Easy-open doors for convenient access: The composter has two easy-to-use sliding doors to allow for the dispensing of compost, making it quick and convenient to access once it has been completed. The composter is not all-or-nothing: its load can be dispensed piecemeal, making it perfect for gardens and personal landscaping projects of any size. Convenient one-handed use: The lid is designed to be opened one-handed, making the composter itself easy to load. Adding nutrients, such as nitrogen-rich organic fertilizer—including other, finished compost—is made much easier, without the need to mix it in by hand. Open bottom for easy rinsing and storage: While not in use, the composter’s simple plastic parts make it a cinch to hose clean. It can then be allowed to air-dry, and be quickly and easily stored away until needed (though it remains capable of producing compost year-round). Heavy-duty plastic parts, plus zinc-plated bolts and fasteners, make it a durable item that’s highly resilient to the odd bump, ding, or scratch. Organic and 100% environmentally friendly: One would expect an appliance such as a composter to be inherently environmentally friendly, and this one is! Its plastic parts are 100% recycled, for no additional carbon footprint. It makes optimum use of rainwater to keep its contents moisturized, works year-round in all sorts of weather, and (strictly speaking) requires no additional fertilizers to produce healthy and organic compost. No wheels: While overall simple to set up, and easy to use, the product is an open-bottom composter without any wheels. Should it have to be moved while loaded plant matter in the process of being turned into compost, the exercise would definitely be one of frustration. Some assembly is needed: It’s not awful, but a number of bolts are required to screw the 100% recycled plastic parts of the composter together. This includes two sliding doors and a hinged lid. The parts are heavy-duty plastic, but there have been instances where components were warped during shipping, making the final assembly more difficult. The lid is also designed to be hinged in such a way as to be managed single-handed; some buyers report that it is prone to fall off if not properly affixed. 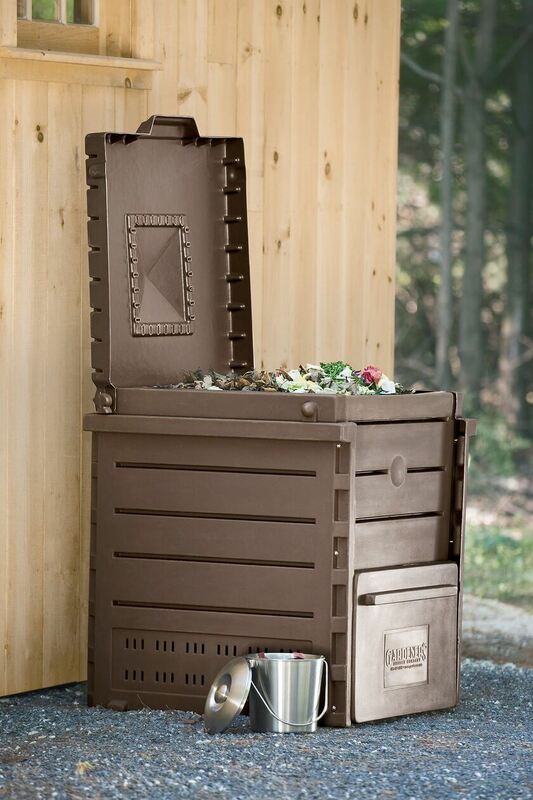 Rodent screen: Odors are not a problem with this composter, but in locations with a common pest problem, the optional rodent screen requires a separate purchase. 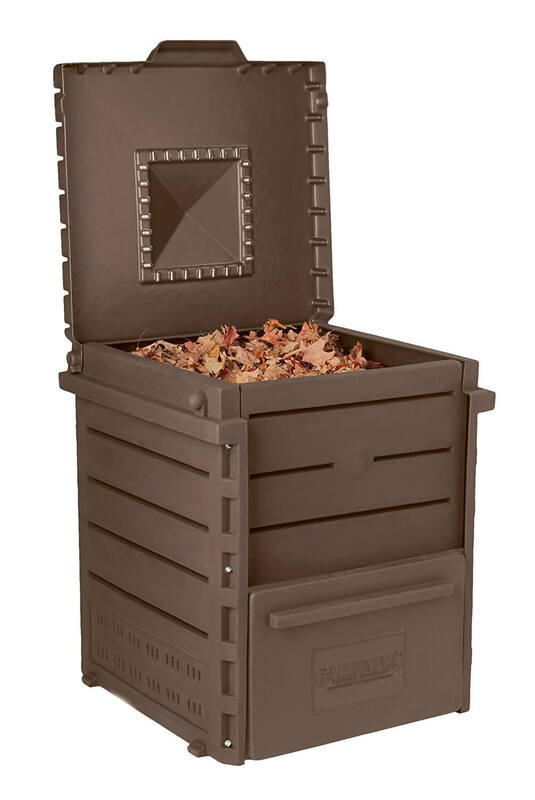 The product is bottomless, allowing easy access for insects, rodents, and other pests, and making the item a considerable nuisance to relocate during the composting process. Is The Deluxe Pyramid Composter Right For Me? Combining the price, the capacity, and the convenience of the product, it is ideally suited for individuals with large home gardens—regardless of their purpose. Whether you’re growing food, flowers, or any other variety of plant life, a composter will assist in the production of healthy organic fertilizer. This composter’s price puts it well within the means of the average gardening enthusiast, but—despite its capacity—its immobility is something of an inconvenience if its load is to be used over a larger property. For those, something with wheels and a bottom would probably be preferable. The function of the composter is not particularly complicated. Ultimately, it serves to make an otherwise labor-intensive (and somewhat messy) task simpler, neater, and more convenient. To that end, it works like a charm. It self-waters, and it handles its own turning: the only thing the gardener needs to do is add plant matter to it. Aside from the minor inconvenience of its immobility while fully loaded, the composter has few negatives of note, and is an excellent value for its price range. 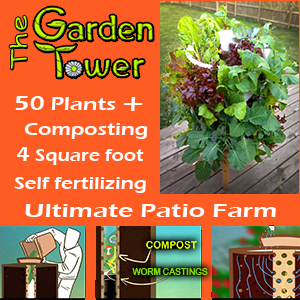 Check Out The Deluxe Pyramid Compost Bin NOW!